You may hear your real estate agent refer to your neighborhood by a number. 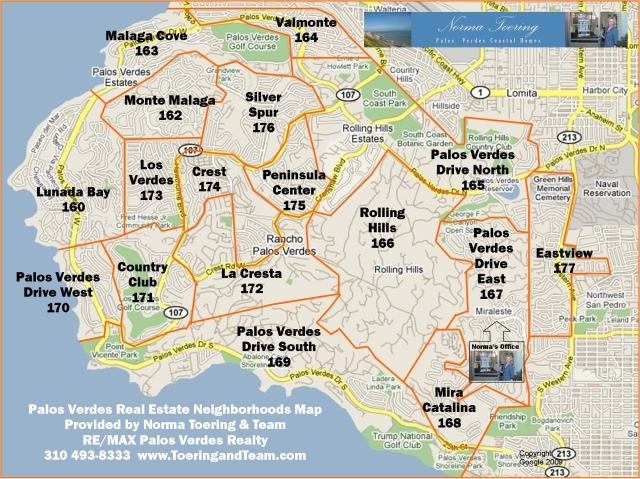 Here’s where those numbers originated–this is the map of the Palos Verdes Peninsula showing neighborhood and the corresponding number for the entire Palos Verdes Peninsula. For more information on any neighborhood in Palos Verdes, contact Norma@CharlemagneProperties.com or call 310.493.8333.